Get those discs away from me! Microsoft has confirmed that it doesn't like your DVD collection and won't allow you to play discs on upcoming Windows 8 machines. 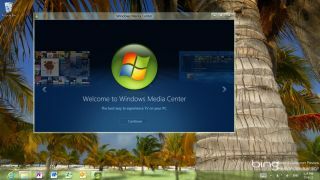 This is according to the official Windows 8 blog, which reveals that if you do want to view DVDs on your computer, then you have to fork out cash for Media Center or use third party software. The reason is that Microsoft is looking to online media when it comes to Windows 8, noting in the blog that it will include the following codecs: H.264, VC-1, MP4, AAC, WMA, MP3, PCM and Dolby Digital Plus. While it's something of a surprise that Microsoft has decided that consumers don't need to playback DVDs on their computers any more, given that most machines come with some sort of bundled software it's not going to make that much of a difference to the consumer. "DVD sales have declined significantly year over year and Blu-ray on PCs is losing momentum." "Globally, DVD sales have declined significantly year over year and Blu-ray on PCs is losing momentum as well," said Microsoft. "Watching broadcast TV on PCs, while incredibly important for some of you, has also declined steadily. "These traditional media playback scenarios, optical media and broadcast TV, require a specialised set of decoders (and hardware) that cost a significant amount in royalties. "With these decoders built into most Windows 7 editions, the industry has faced those costs broadly, regardless of whether or not a given device includes an optical drive or TV tuner." This is now changing with Microsoft only offering the service in its Windows 8 Pro Pack, which given DVD playback (in Media Center, not in Media Player), broadcast TV recording and playback and VOB file playback. Pricing for this is to be announced – in the meantime, you may want to get acquainted with VLC (other free third-party software is available).